The Molly Rocket blog will be going on hiatus. We’re not public relations experts here at Molly Rocket. In fact, we’re not even public relations… uh… intermediates? We’re beginners, and if we’re being honest, we have to admit that we don’t really know the right way to start promoting 1935. We just know we need to start promoting 1935, because in today’s world where thousands of games are released each year, you have to find some way of letting the world know about your games if you want to survive as a game company. And we really want to survive, because honestly, we love what we do and we’d like to be able to do it forever and ever! To be fair, it was in the middle of a medieval text on bodybuilding, so I can understand why it might be hard to apply out of context. And even if you do, there’s a lot of crucial things they didn’t know back then that prevented them from making big gains. For example, did you know that the Julian calendar did not even have leg day? But I digress. The gist of the passage was that if you want to remain in peak physical condition you have to be willing to give up some things in order to have more gym time. Obviously, here at Molly Rocket we always make time for exercise. So we’re not asking you to take Chaucer literally. We’re talking about figurative gym time. And by “figurative gym time”, we’re not talking about gym time that affects your figure. We literally just mean figurative gym time. And the figurativity in this case is that aforementioned public relations study time. So if you substitute “public relations study time” for “gym time” in the passage, it mostly works. Kind of. I mean what can I say? Chaucer wasn’t really that toned. None of them were back then. They still thought it was OK to do cardio! Can you believe that? 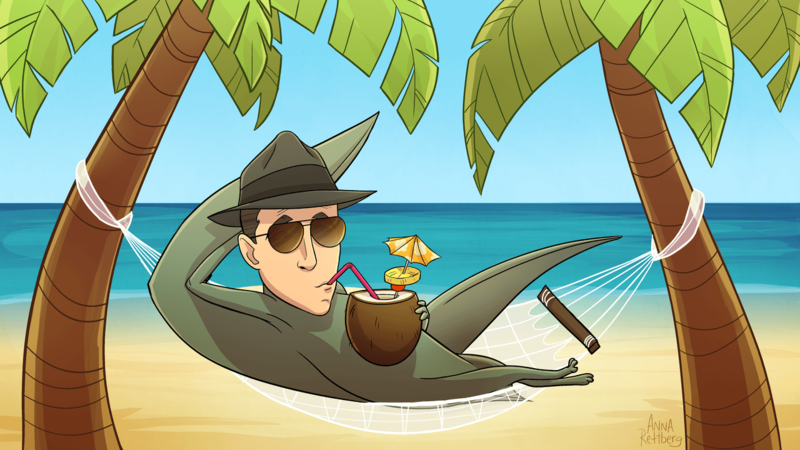 Anyway, this does mean Humphrey Bogart Pterodactyl will get a much-deserved vacation. Although he’ll be pressed back into high-flying service soon enough, this does mean our dashing delivery ‘dactl will get a few weeks of time to himself. In fact, if you’re reading this, that means he’s already delivered the last Monday Mail, and is probably flying off to some tropical vacation destination even as you finish this paragraph. And you know, we’re happy for him. He’s earned it! So we’ll get to work planning our next series of blog posts, and when they’re ready, we’ll send Humphrey flying again. If you want him to make your inbox his first stop, be sure to sign up for our mailing list if you haven’t already. You can use the handy little box at the bottom of the page. And actually, if you happen to be someone who knows something about game PR, feel free to email us tips or contacts. We’re quite sure we’ll need all the help we can get! Until next post, thanks for reading, and we’ll see you on the internet.